We’ve all been there. It is a mixture of a lot of different emotions. There’s the euphoria from knowledge of imminent freedom from high school. There’s the sadness because of the impending separation from good friends. And then there’s the anxiety which usually stems from one particular thing – college. Unlike the others, the cause of this anxiety is sort of a big deal. After all, for most seniors, college is the future. College applications, the examinations in particular, are common concerns for most graduating high school students. Be it UPCAT, ACET, DLSUCAT, or USTET, everybody knows that these tests are no joke. The fear of the exams itself is enough to keep people from pursuing their dream universities. This is where UP ALCHEMES steps in. Because just like everybody else, we’ve been there. With its College Entrance Exam Review Series (CEERS), ALCHEMES aims to help those anxious students sort things out. CEERS is a four-day review program especially designed for graduating high school students opting to take college entrance exams. The pressure to ace these examinations is tremendous. That is why everyone resorts to different means in hopes of passing. Some rely on superstition, others depend on stock knowledge and still a number put their bets on luck. ALCHEMES believes though that preparation is still a more effective way to achieve success. CEERS prepares the students by facilitating lectures accompanied by review modules for Mathematics, Science, Language Proficiency, Reading Comprehension and Abstract Reasoning. These review materials are intended to serve as guides and reference to go hand in hand with the refresher courses conducted. At the end of the program, the participants take a mock exam with test questions patterned after entrance exams in order to provide them a feel of the actual exam. Throughout the program, members of the organization facilitate the discussions while sharing their insights regarding the exams. They also happily share review techniques and exam tips in order to help the students prepare for their tests. Alchemists also assist the soon-to-be graduates in choosing which career path to take in the near future. Students who are yet to decide on their dream career gain very useful insights through a Course Orientation. 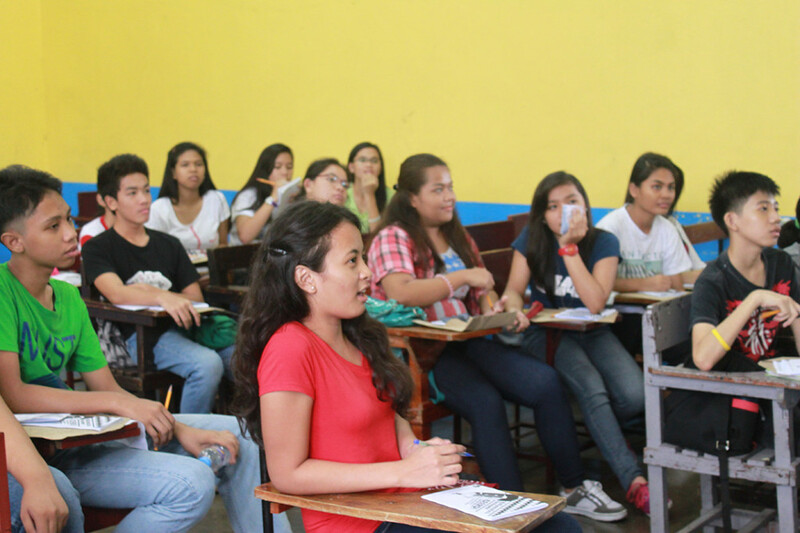 It provides information on the different courses offered in the best universities from all over the Philippines. Not only do Alchemists help students get ready for their college applications, they also ensure that the students are well-informed and are capable of choosing a career that they would appreciate and enjoy – a dream that they would fight for come hell or high water. CEERS is not just a review series. It is an event that allows Alchemist to give back to the nation by helping the younger generation of Filipino students in pursuing their dreams. It is a means through which ALCHEMES can empower the youth in shaping their future not just for their own sake but also for the sake of this nation. It is a beacon of hope, an inspiration for the students to continue what they have started. A challenge for them to see beyond the tests and look into their future. CEERS 2014 runs from July 12 to August 2. For more information on the program and on the participating schools, check us out at http://www.facebook.com/CEERS.UPALCHEMES.